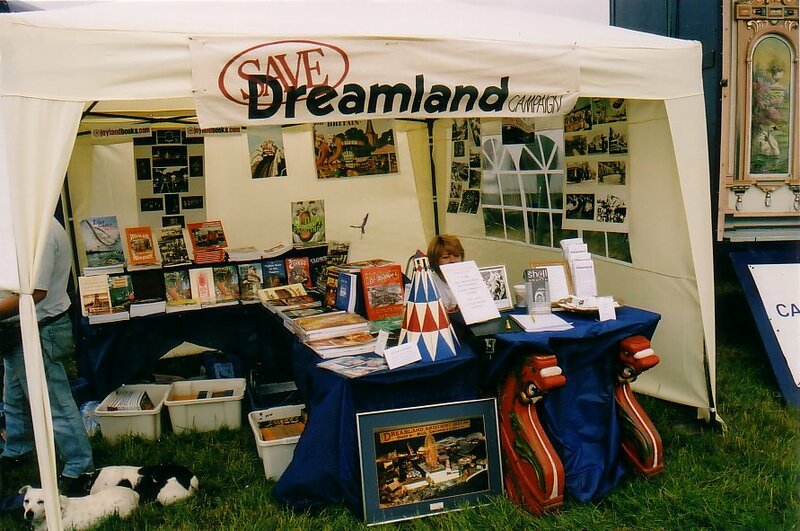 The Save Dreamland Campaign officially left Margate for the first time ever and presented a stand at the 2005 Preston Rally, held on 25 and 26 June 2005. 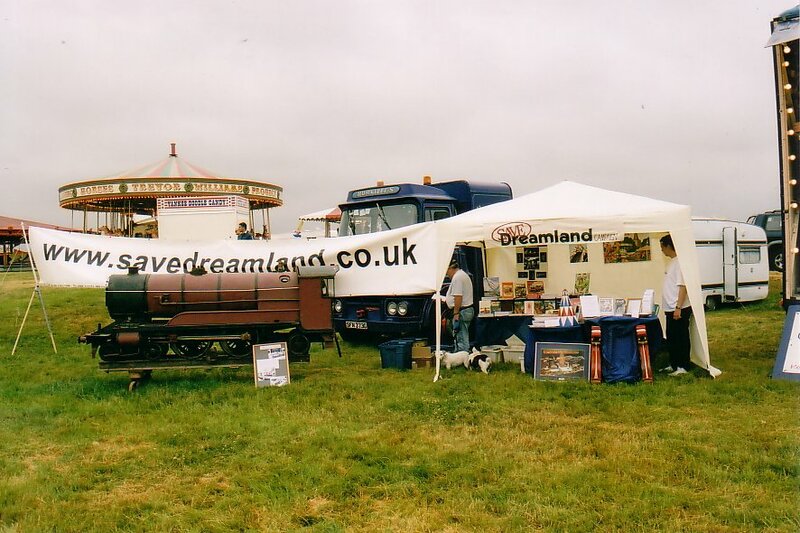 The Campaign stand had much for rally visitors to see, including lots of photos of Dreamland (one of which was a framed picture of Mick Tomlinson's model of Dreamland) and two Scenic Railway dragons courtesy of Paul Freeman (identical to those on the Dreamland Scenic, but not necessarily from Dreamland). We also had Billie the Train, out in the sunshine for the first time in many years. 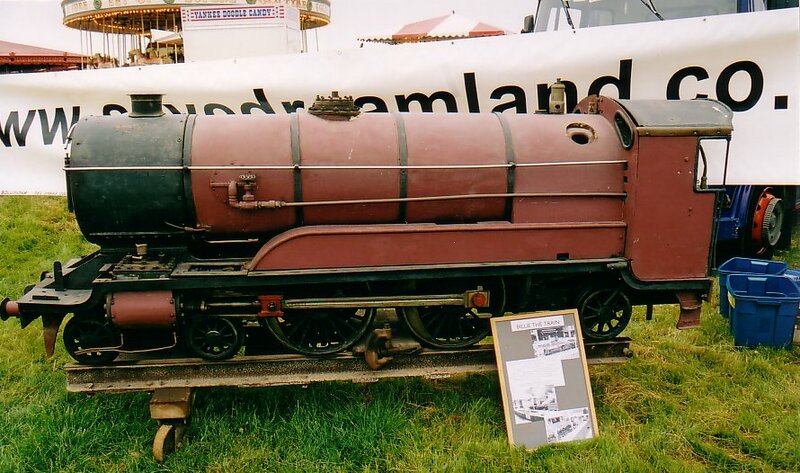 This 15" gauge locomotive operated on the Dreamland Miniature Railway from 1920 and continued carrying happy passengers for many years. 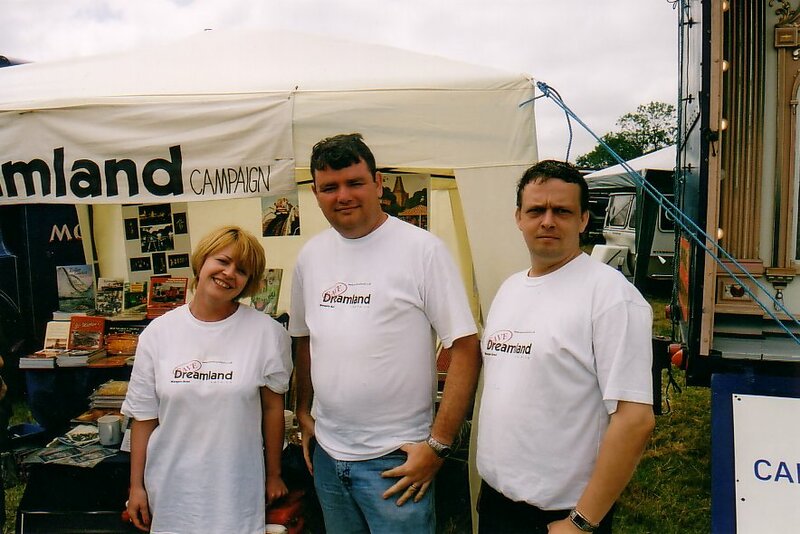 In residence at the stand for the two days were Sarah Vickery, Nick Laister and Dave Collard, who were pleased to see many campaign members in attendance. 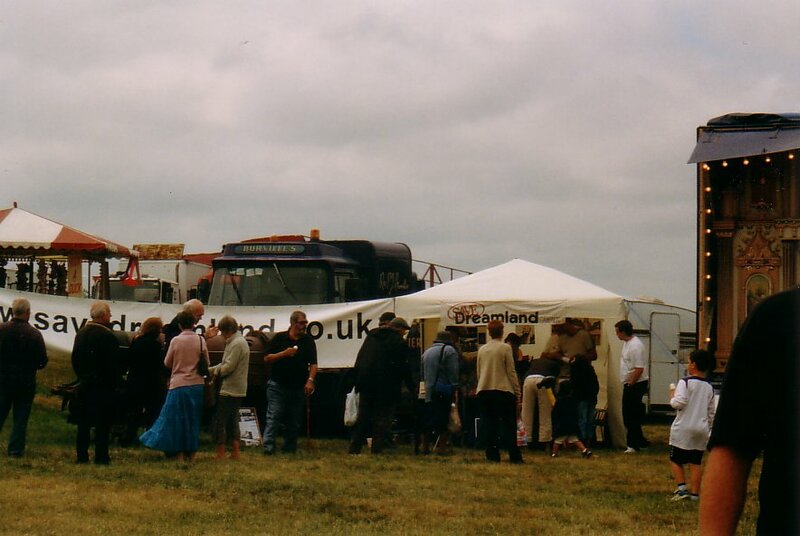 The Campaign also managed to secure many new members (measured, quite literally, in their hundreds) hailing from all over Kent, and from as far afield as Bristol and the USA! The Save Dreamland stand shortly before opening on Saturday. A close-up of the stand just after opening - the calm before the storm! Billie the train generated a great deal of interest over the weekend - we had at least six ex-Billie drivers make themselves known to us over the weekend! 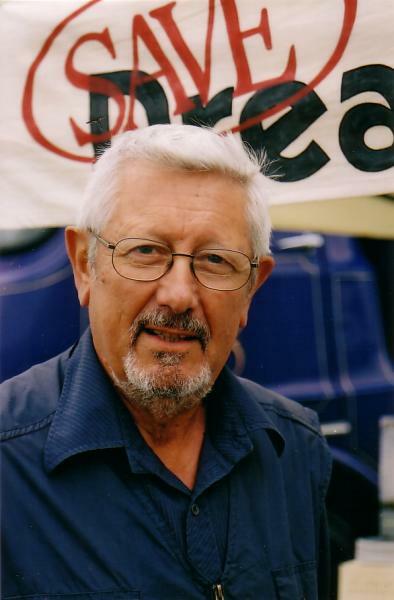 Cllr John Watkins, Labour member for Margate Central ward, who was one of the first to join the Campaign at Preston. 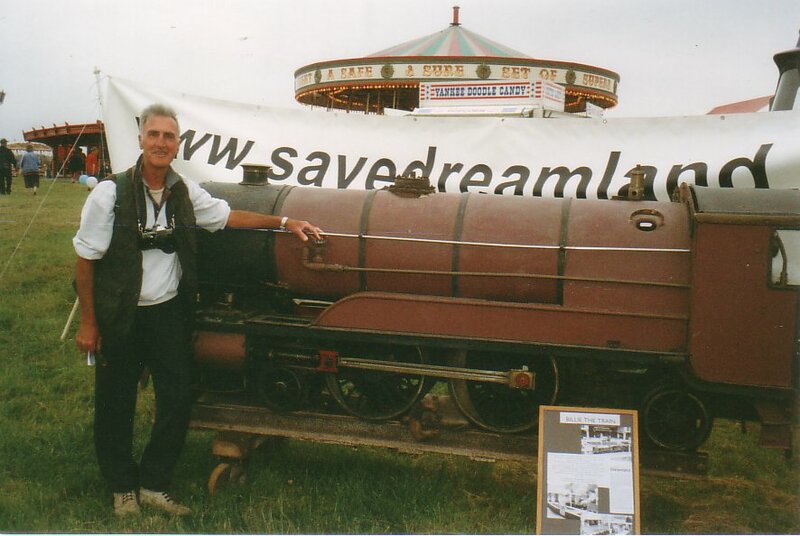 Dreamland legend Bill Leach, who managed the Scenic for many years, continues to support the Campaign. 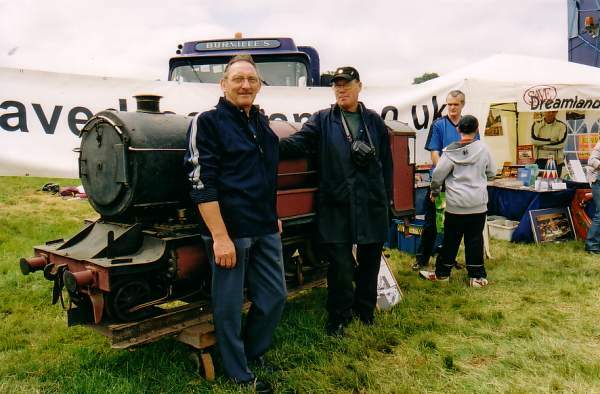 Terry Bayliss, who drove Billie in 1962-63, pictured with John Wickham, who drove her in 1977-78, just a year before she was removed from the park. 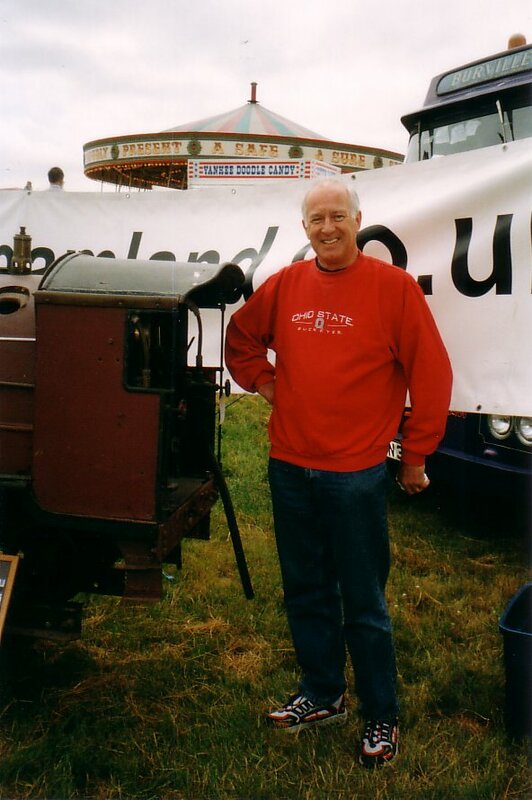 Colin Logan, whose father worked on the Scenic Railway and carved animals for the Gallopers. Colin drove Billie frequently as a child and is our newest overseas member, living now in Ohio. 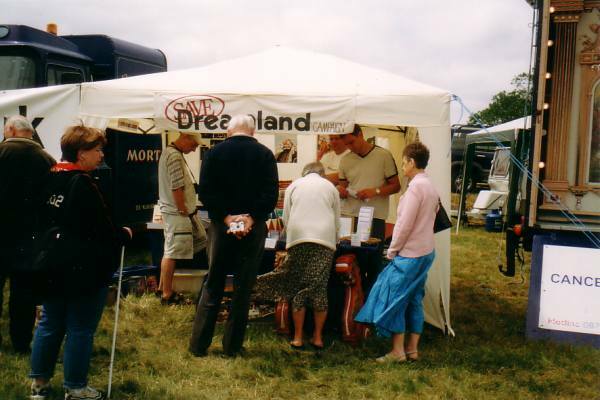 A general view of the Save Dreamland stand on the Saturday. A view of the Save Dreamland stand in action on Sunday. Sarah Vickery, Nick Laister and Dave Collard take a break at the end of Sunday's rally. 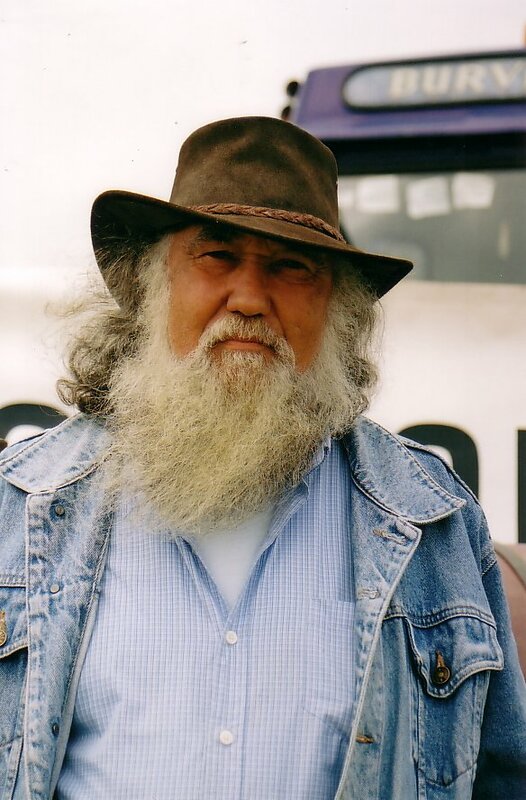 All they have to do now is pack away the gazebo. Michael List Brain at Preston Services for free space and kindly moving Billie. Paul and Rhyannon Freeman for banner making, dragon lending and inventive use of a wind break.